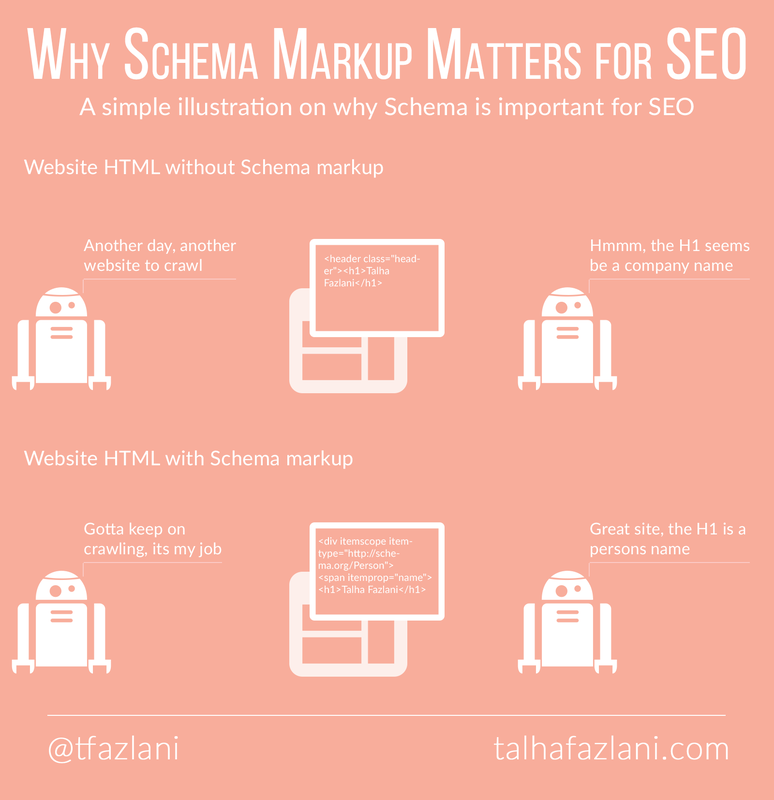 Why Schema markup matters for SEO? Lets start with some background information on Schema (officially known as Schema.org). It’s a collaborative project between Google, Bing, Yahoo and Yandex. It was created by these search engines so that you can add the information they need to provide the best search results possible. If this doesn’t make you realise the importance of Schema, then nothing else will. Schema tags improve the search engine result page listing by displaying the added information. Although there is no conclusive evidence of Schema having any impact on rankings, I have personally noticed improved results when I have implemented them for certain clients. The use of Schema added to the overall quality of webpage improving its rankings. How can you implement Schema? Schema tags need to be inserted into your HTML code. This requires a little coding knowledge and are best done by a web developer. Some CMS like WordPress provide plugins which will allow you to add Schema markups directly from the WYSIWYG editor. What needs to be added can be found on the Schema.org website. Google also provides a Structured Data Markup Helper, which is limited to specific Schema types. In my opinion, whatever that helps search engines get more information about your site is a plus for SEO. Even without any impact on rankings itself, its proven effect on click-through rates (CTRs) is reason enough to implement it.